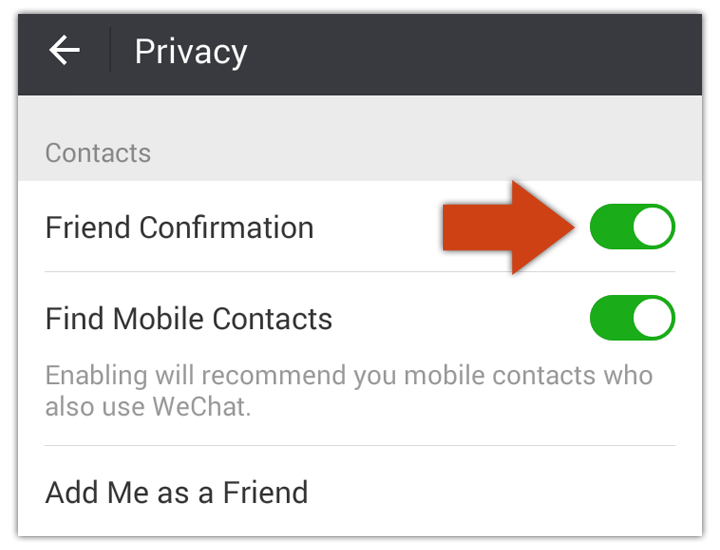 Block WeChat Contacts Or Delete WeChat Contacts. That is the question. But do you really know know the differences between blocking and deleting someone? Read on to find out the 5 key differences plus 1 hot little trick. 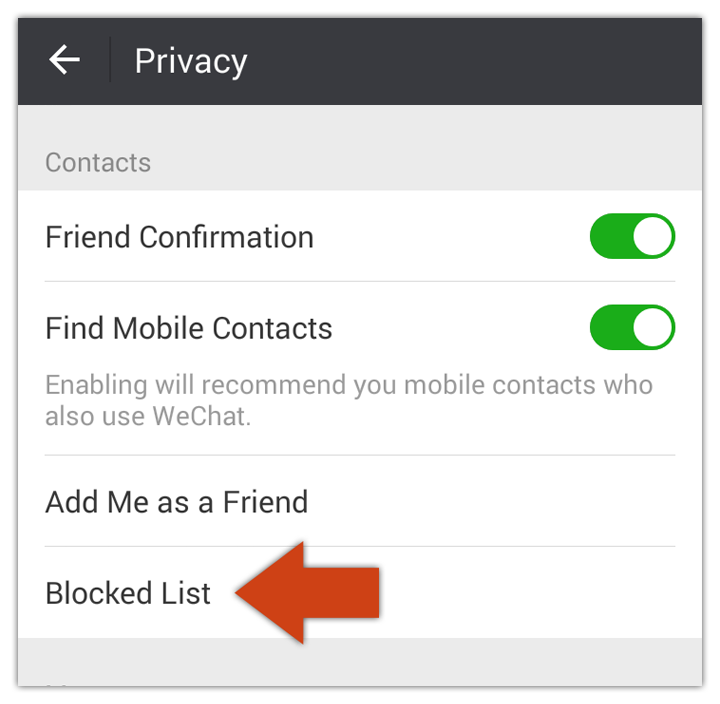 Block WeChat Contacts & Delete WeChat Contacts. The Differences. You’ve deleted a contact. What they now see when sending you a message will depend on your privacy setting for Friends Confirmation Me > Settings > Privacy. 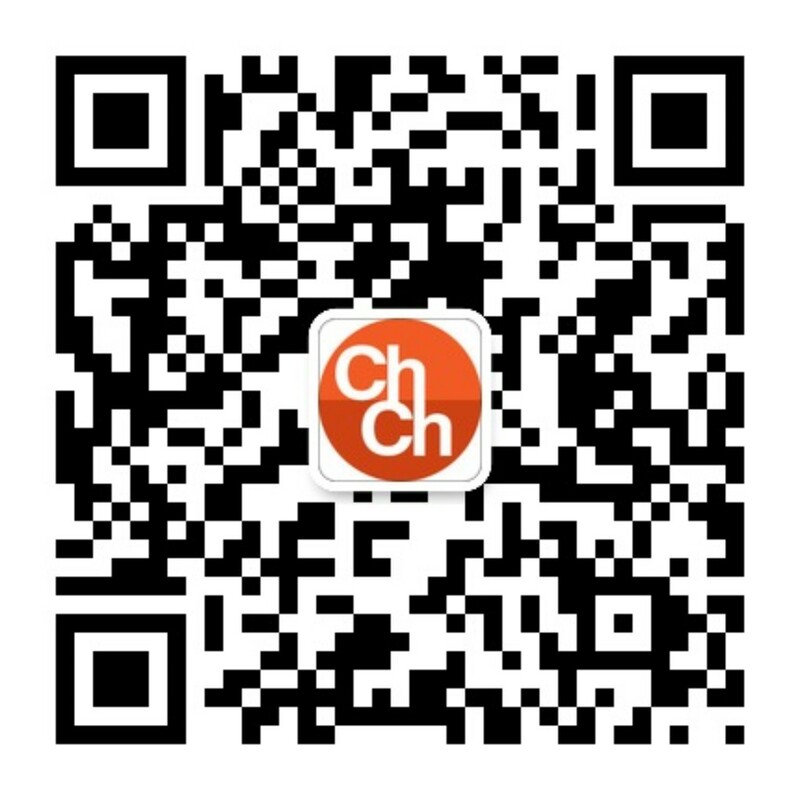 The vast majority of WeChat users have this set to on (as in the picture below). 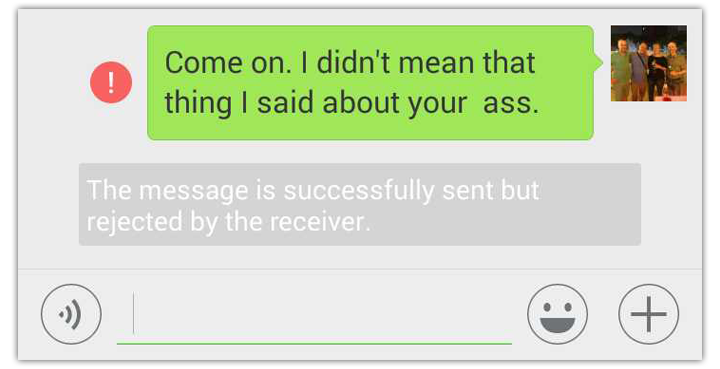 Now let’s say you wish to send a message to someone you have deleted. First you will need to find them. They will be deleted from your contact list. Perhaps you can find them from a mutual group. When opening up a chat window with them you will be able to send them messages. 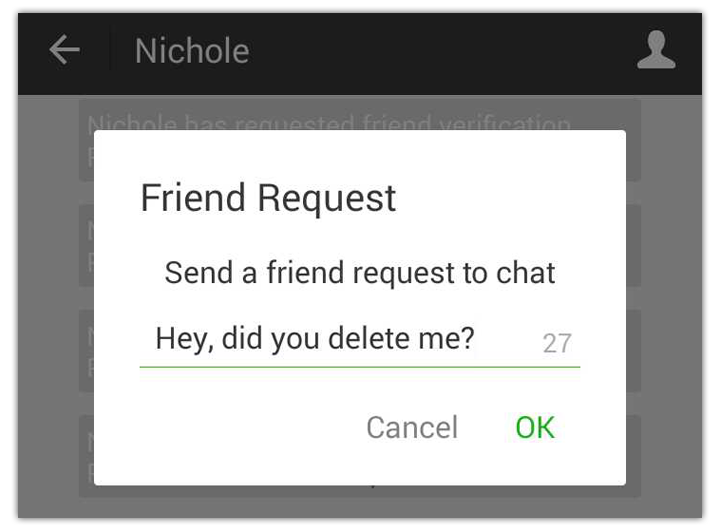 But now there will be a message at the top asking you to add them to your WeChat contacts. When they send you a message they will receive a notification as below. You will not receive any messages they send to you. 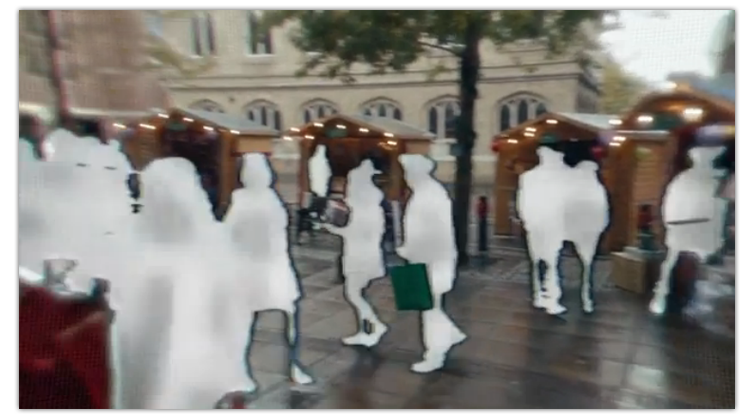 You will not be able to send them a message even if you find them in a group. You will appear in their contacts list. They will not appear in your contacts list. You will appear in their contacts list. They will appear in your blocked list. Their content will of course no longer appear in your moments feed. When you check their profile from a group what you are able to see will depend on if they have made their moments public (setting below). If their moments are set to public you will be able to see their 10 most recent moments posts. If moments are private you will not be able to see any. These conditions apply exactly the same to the person you have deleted with regard to them viewing your moments. 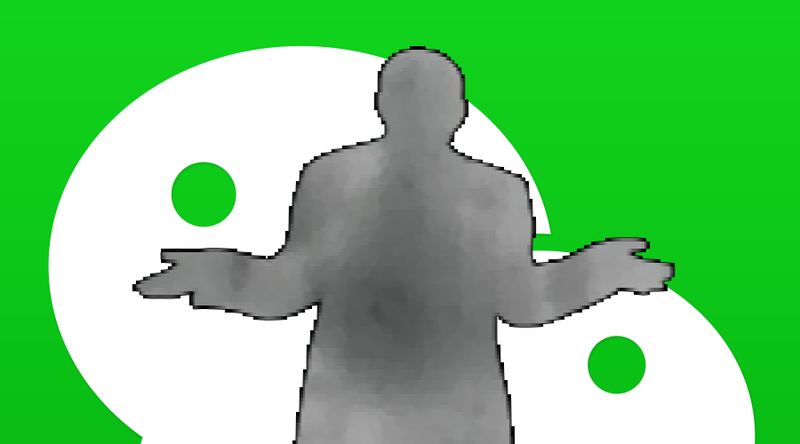 You will be completely unable to see their moments even when checking their profile from a group. If they decide to check your moments from your profile, and you have set your moments to public, they will be able to see your 10 most recent moments posts before you blocked them. Otherwise they will not be able to check your moments from your profile. 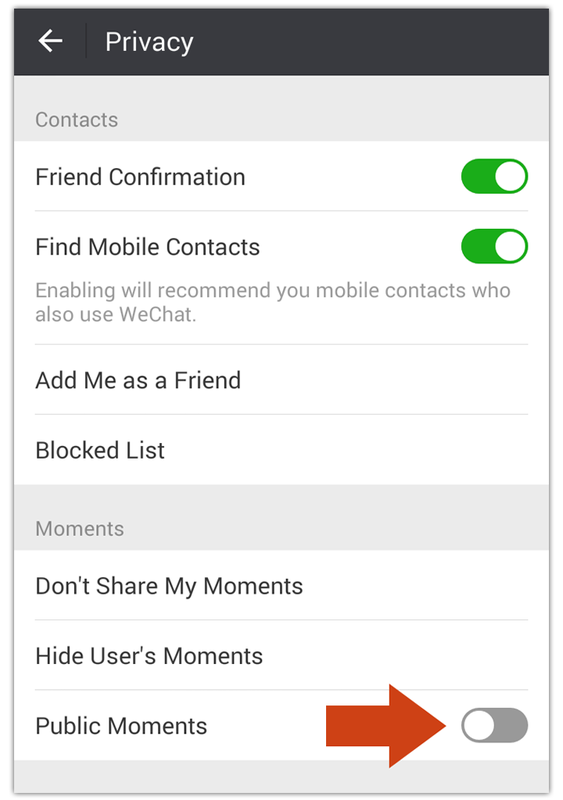 Your chat history with them will be deleted from your WeChat. 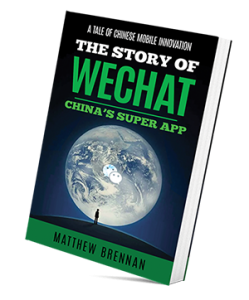 The chat history will remain on their WeChat. Neither of your chat histories will be deleted. 5: Request to Join a Group. You will not be able to request them to join a group as they are no longer in your contacts list. 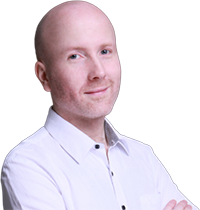 However if they request you to join a group and assuming you have ‘friend confirmation’ set on, they will receive a message asking them to first add this person as a contact. You will not be able to add them to a group. If they try to add you to a group they will receive an automatic message similar to below. Blocking or Deleting? Which is better? The biggest difference between blocking and deleting is that with blocking someone it’s easier to reverse your decision. They will still be on your blocked list. When deleting someone their information will be completely gone. Above: What it looks like when you get blocked by everyone. If you first delete someone and then block them they will still be on your blocked list. If you block someone and then delete them, they will not appear on either your blocked or contact list. They will not be able to send you a friends request without it being refused. Thus this is the best way to completely break off relations. Regardless of if you block, unblock, delete or re-add someone the other person will not receive any notification. They will be oblivious to your actions. Only when the other person sends you a message, adds you to a group or tries to view your moments will they be able to notice something is up. 1. Create a group of up to 39 of your contacts. 2. Check for automatic messages like below in the group thread. 3. Delete the group. DO NOT send any messages into the group. By doing this, the group will not disturb others. They will not be notified of the group until a message is sent into it and will never know of its existence.